For the character collection in The Simpsons: Tapped Out, see The Simpsons: Tapped Out characters/Flanders Family. 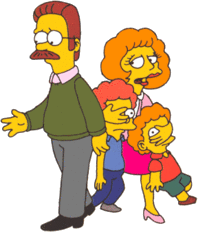 The Flanders family are a family consisting of Ned, Edna, Maude, and their two sons Rod and Todd. They live at 744 Evergreen Terrace, neighbors to the Simpson family. The Flanders' house is situated at 744 Evergreen Terrace, Springfield and is next door to 742 Evergreen Terrace, home of the Simpson family. The home phone number is 636-555-8904. The house is a two-story detached house with a connected garage. The house itself is pink-purple in color, with red window frames and a blue-orange canopy above the front-door. Inside the house, most if not all the rooms include religious imagery and photographs of the (late) Maude Flanders. The house is well furnished with expensive-looking furniture, which Ned claims he buys cheaply because it used to be "evidence from a murder trial". The layout of the house appears to be similar to that of 742 Evergreen Terrace, with two front rooms and two back rooms. The basement of the house has been converted to a 'rumpus room', with a bar and snooker table (oddly since Ned later confesses to being a teetotaler). The house also has a panic room and a secret room stashed full of Beatles merchandise. The Flanders' residence once had a bomb shelter in the backyard, but this was destroyed by a small meteor. The Flanders' have a satellite dish but lock out 230 of the channels it offers. It is implied the only channel not locked out is one which airs Christian programming for children. The Flanders' also have air conditioning, which Homer steals in one episode, in order to gain relief from the heat. Ned, Rod and Todd sleep upstairs. Rod and Todd share bedrooms, and there is also at least one spare bedroom where Bart Simpson slept when he was younger, which Ned later rents out. The garden of the house includes a patio and a barbeque and is often used for Ned's barbeque and birthday parties. (Note: Although the house is generally labelled 740, in one episode it is at number 744 Evergreen Terrace, and in another episode 738 Evergreen Terrace, and since very early episodes of The Simpsons had 742 Evergreen Terrace at different numbers, it is reasonable that 740 Evergreen Terrace used to be different as well). 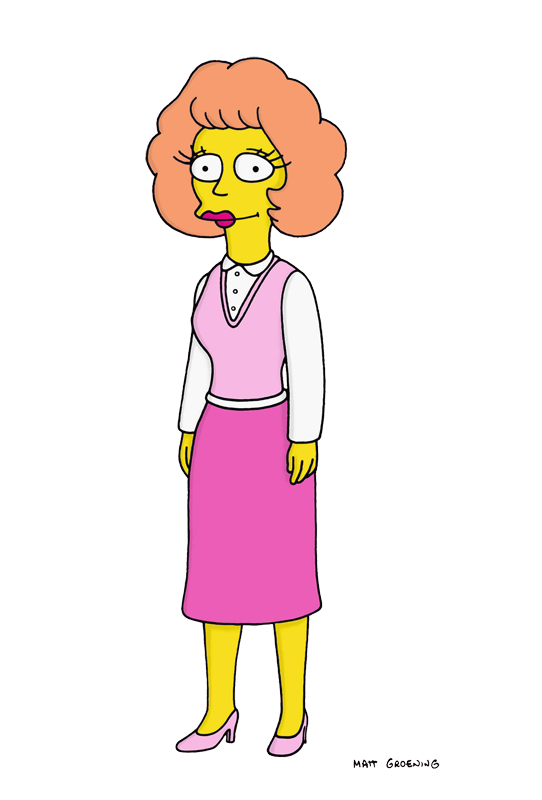 Recently, Ned Flanders and Edna Krabappel have been dating, and they are married. 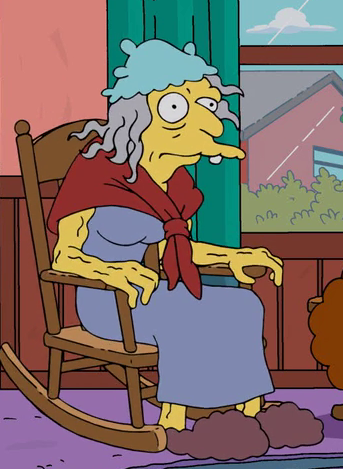 Ned's parents are: his mother is Mona "Grandma" Flanders, and his father is Nedward Sr. Maude has unnamed parents that were mentioned in Trash of the Titans. Ned has relatives from all over the globe. Several are seen in Lisa the Vegetarian. 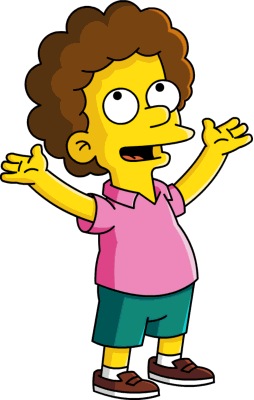 They include José Flanders, Lord Thistlewick Flanders, and many others that all look like Ned, Maude, Rod, or Todd. The Greenbelt Christian arts festival sometimes runs a Ned Flanders lookalike contest in tribute to one of TV's best-known Christians. In Groening's hometown of Portland, Oregon, Simpsons fans vandalize the signs that say NE Flanders Street to say NED Flanders Street. The Flanders live next door to the Simpsons, and these two families could not be more different. The Flanders are well-kept, pious individuals. Constantly being harassed by the Simpsons, they have surprisingly gone through a lot. Homer was in one episode good friends with Ned, but became obsessed with spending time with him. At the end of the episode, everything was back to normal. When Bart and Lisa were taken into protective custody by child services from their 'unfit' parents, the Flanders were their foster parents, and almost went through with baptizing them, if Homer hadn't stopped them. Bart tied with Todd in an ego-boosting golf tournament. Ned and Homer took a wild trip to Las Vegas, where, in their inebriation, married some waitresses. Even with all the crazy things that happen to them, the Flanders and the Simpsons have managed to live together for all these years. Matt Groening has indicated that the Flanders family is named after NW Flanders Street in Portland, Oregon.